Your quick guide to building a solid termination program. Wrongful termination claims are expensive, eat up time, and hurt your culture. Here’s the short list of the most important things to have in your employee termination program. 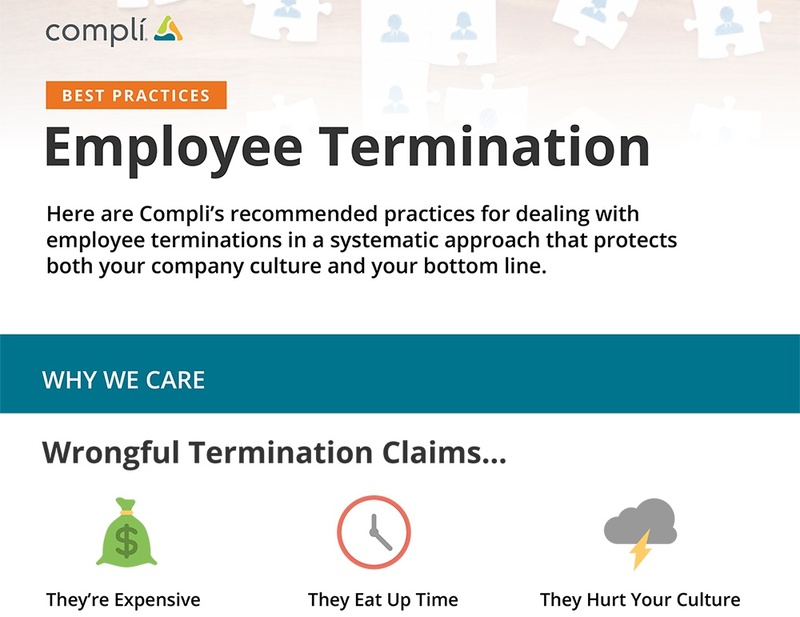 Download the Employee Termination Best Practices Infographic today. 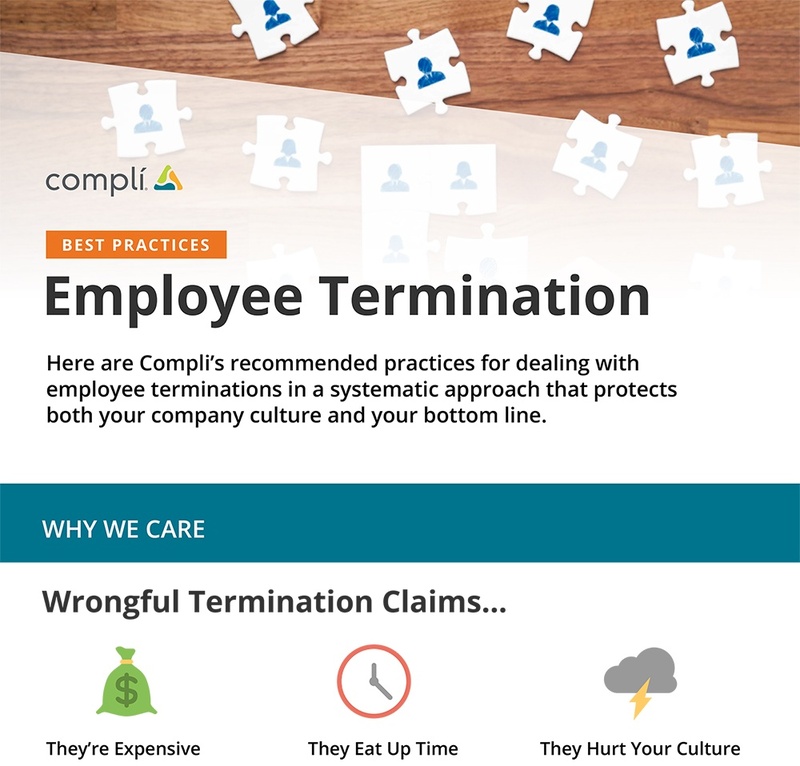 Here are Compli’s recommended practices for dealing with employee terminations in a systematic approach that protects both your company culture and your bottom line.